Oklahoma Institute for Child Advocacy Executive Director Linda Terrell expressed support last week for a slate of DHS reforms passed by the Legislature during the 2012 session. 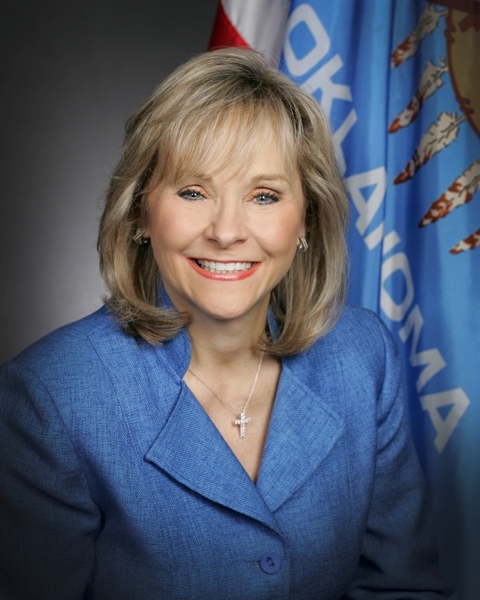 Governor Mary Fallin will hold a public bill signing ceremony and press conference tomorrow afternoon to sign DHS reform legislation. I know many of you are interested in these reforms so I wanted to make sure you were aware of the plans and I hope you are able to attend. HB3133 – Any individual who knowingly provides false information in a deprived child proceeding commits a felony. HB3134 – DHS to eliminate the Field Operations Division and to vertically integrate all program divisions and staff; field operations and programs shall no longer be separated into different divisions. 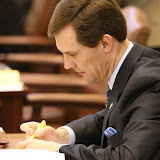 HB3135 – Allows for DHS to release certain information when a child death has occurred. HB3137 – Gives the Governor authority to select the DHS Director, subject to confirmation from the Senate. Creates citizen advisory panels to evaluate core areas of DHS. HJR1092 – Refers to the vote of the people a constitutional amendment which would delete the DHS Commission and allow the department to be administered under the Governor’s purview. (Included in the reform measures is HJR1092 that sends State Questions 765 to a vote of the people this fall. HJR1092 does not require the governor’s signature). 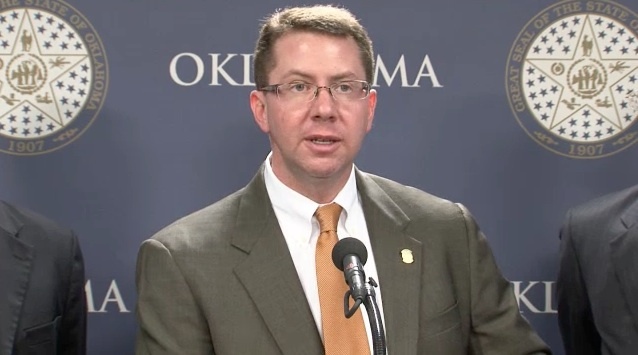 OKLAHOMA CITY—Governor Mary Fallin today accepted the resignations of Commissioners Steven Dow and Anne Roberts of the Oklahoma Commission for Human Services. 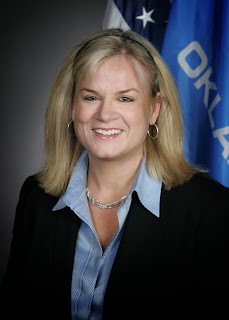 The resignations were offered after a letter by the Oklahoma Ethics Commission identified a conflict of interest concerning Dow’s simultaneous service as both a DHS commissioner and chief executive officer of the Community Action Project, a charitable corporation which operates daycare and child education facilities. Roberts, although not named in the Ethics Commission letter, resigned to address a potential conflict between her service as a commissioner and her employment with Integris Heath. 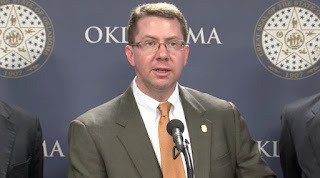 Rep. Jason Nelson, R-Oklahoma City, worked closely with both commissioners in his role as chair of the four member House Working Group on DHS and as a participant in The Pinnacle Plan working group. 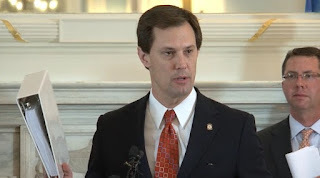 “The reality and timing of Steven and Anne’s departure is very unfortunate for the ongoing reforms that both played such a critical part in helping bring about,” said Nelson. “It seems Commissioner Dow went out of his way to avoid any conflicts so the news is even more disappointing. Governor Fallin said she valued the service of both Dow and Roberts. “Both Steven Dow and Anne Roberts are dedicated public servants who have poured countless hours into their roles at the Department of Human Services.” Fallin said. “Their work on the Pinnacle Plan, for example, will help to ensure that a new wave of reforms can be implemented at DHS that better care for children in state custody. Both have also been essential in the search for a new director. "Governor Fallin has not decided whether or not to call a special session. However, it is clear that the House and Senate have reached a stalemate regarding tax cuts. The governor is still doing everything she can to deliver a meaningful tax cut this year and will announce a decision regarding the possibility of a special session by the end of this week." 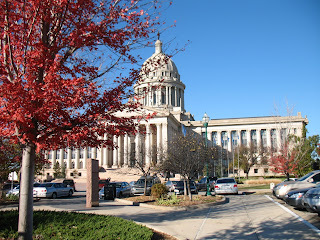 OKLAHOMA CITY – House Republicans on Wednesday advanced a new income tax reduction measure that ensures Oklahomans receive either an income tax reduction or no tax change at all. HB 3038 was signed out of the House General Conference Committee on Appropriations on Wednesday. The Senate now must act to advance it from the Senate General Conference Committee on Appropriations in order for it to be heard by both chambers. 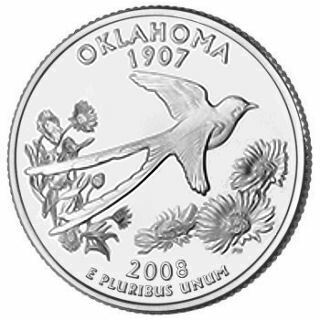 If House Bill 3038 is implemented, a large majority of taxpayers would receive tax reductions, a small amount would see no change and no taxpayers would experience a tax increase, according to the Oklahoma Tax Commission. HB 3038 proposes three growth triggers that would reduce the top personal income tax rate to 4.5 percent within three to ten years, dependent upon revenue growth. Each trigger would result in a .25 percent reduction. In order for the trigger to take effect, there must be a 5 percent annual growth in collections of motor vehicle taxes, use taxes, sales taxes, income taxes and corporate taxes apportioned to the general fund (for details, see attached bill and attached summary document). “This plan is a lot like the tax reductions Oklahoma Republicans have enacted consistently for nearly 15 years in order to lower the rate from 7 percent in 1998 to 5.25 percent today. It allows us to continue down that path in a responsible, methodical manner that won’t cause any taxpayers to pay more,” Steele said. The new plan keeps the current tax bracket structure and personal exemption intact. The tax bracket structure change and personal exemption modification proposed in HB 3061 – the bill supported by Senate leaders – are among the reasons why some taxpayers would see a tax liability increase under HB 3061. “The House won’t take up any bill that raises taxes. Raising taxes isn’t what conservatives stand for, it’s not what Republicans stand for and it’s not what the House stands for,” Steele said. 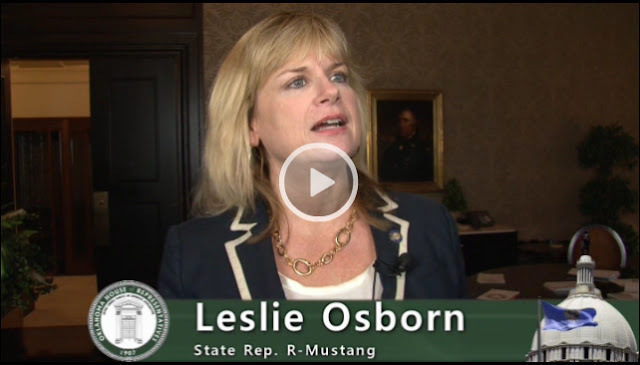 Rep. Leslie Obsorn, R-Mustang, said HB 3038 is a responsible way to continue the economic momentum Oklahoma has experienced in recent years. HB 3038 would not affect the proposed fiscal year 2013 state budget because it does not mandate a tax reduction in fiscal year 2013. 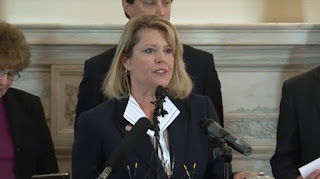 OKLAHOMA CITY – House Republicans plan to introduce a new income tax reduction measure Wednesday that ensures Oklahomans receive either an income tax reduction or no tax change at all. The new plan proposes three growth triggers that would reduce the top personal income tax rate to 4.5 percent within three to ten years, dependent upon revenue growth. Each trigger would result in a .25 percent reduction. In order for the trigger to take effect, there must be a 5 percent annual growth in collections of motor vehicle taxes, use taxes, sales taxes, income taxes and corporate taxes apportioned to the general fund. The criteria for the triggers are the same criteria used for the trigger in HB 3061, the previous income tax reduction proposal. The new income tax plan will be contained in an amended version of HB 3038 that will be introduced during the House General Conference Committee on Appropriations meeting at 1:30 p.m. Wednesday. The new plan keeps the current tax bracket structure and personal exemption intact. The tax bracket structure change and personal exemption modification proposed in HB 3061 are among the reasons why some taxpayers would see a tax liability increase under HB 3061. House Republicans rallied in support of the new plan. The new plan would not affect the proposed fiscal year 2013 state budget because it does not mandate a tax reduction in fiscal year 2013. The earliest possible trigger would be for fiscal year 2014. Preliminary Tax Commission estimates show the cost of the first trigger as $120.5 million, $152.3 million for the second trigger and $172.9 million for the third trigger. The cost of each trigger would be spread across two fiscal years due to the difference between tax years and fiscal years. “Tying these triggered tax cuts to actual growth makes them far easier to pay for because they won’t go into effect unless the state has far more revenue than it did the previous year,” Sears said. HJR 1092 would create a state question allowing voters to decide whether to abolish the Commission for Human Services, the constitutionally-mandated, nine-member group of unelected volunteers that has overseen DHS since 1936. HB 3137 would require the DHS director to be appointed by the governor and confirmed by the Senate should the state question pass. HB 3137 would also establish advisory panels that would monitor each of the agency’s divisions to help agency leadership make informed decisions. The measures now go to the Senate. OKLAHOMA CITY – Governor Mary Fallin and leaders in the Oklahoma House and Senate today came to a budget agreement that includes targeted funding increases for core services. Fallin and other state leaders said the proposed $6.8 billion budget was a fiscally conservative roadmap for the state that controls spending while allowing for improvements to be made in health and human services, public safety, transportation, education and other important areas of government (see attached documents for more information). House Speaker Kris Steele said the budget deal successfully limited unnecessary government growth. Senate Pro Tem Brian Bingman said the proposal represented a common sense, conservative approach to budgeting. Annualization of FY 2012 $52.4 million supplemental for flexible benefit allowance for teachers and support staff and National Board Certified Teacher bonuses. 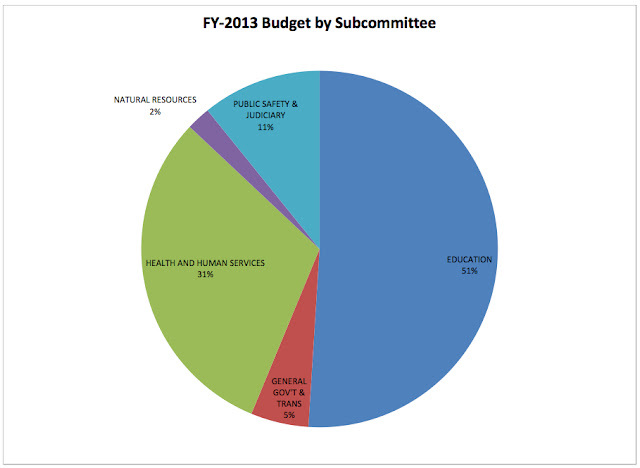 Annualization of FY 2012 $10 million supplemental for operations. $3.080 million to fund the rural residency program to increase access to health care in rural and underserved areas. $5.5 million for Systems of Care Grant and for an additional crisis center. $667,000 for mental health screenings to determine the risks and needs of each offender; justice reinvestment. OKLAHOMA CITY -- Governor Mary Fallin and leaders in both the House and Senate today introduced a joint plan for income tax cuts and tax code simplification. The proposal lowers the top income tax rate from 5.25 percent to 4.8 percent in Fiscal Year 2013 and includes a one-time additional tax cut tied to a revenue growth trigger in FY 2015. If state revenue grows by at least 5 percent in that year, the income tax rate would be reduced further to 4.5 percent. The joint proposal represents a tax cut of over $218 million to Oklahomans when fully implemented in FY 2014, and would cut taxes by an additional $121.4 million in FY 2015 should the growth trigger be reached. Lost revenue is partially offset by tax reforms totaling $117 million when fully implemented in FY 2014. These reforms include the elimination of 33 tax credits, the elimination of certain deductions and the elimination of the personal exemption for single filers making over $35,000 and joint filers making over $70,000 (see attached one pager for new details). The new plan also simplifies the tax code by dropping the total number of tax brackets from seven to three. New rates will be set at 1 percent, 3.3 percent and 4.8 percent. House Speaker Kris Steele also spoke in support of the plan. Senate Pro Tem Brian Bingman said the tax cut would help small business owners while protecting core government services. 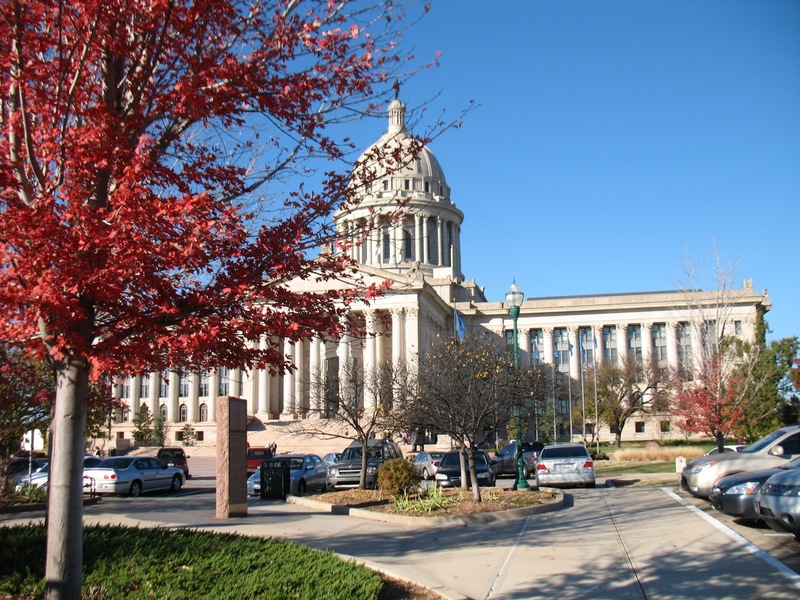 OKLAHOMA CITY – House Speaker Kris Steele and the House DHS Working Group today announced plans to finalize legislation designed to significantly improve components of the Oklahoma Department of Human Services. The legislation comes as the agency prepares to implement the Pinnacle Plan, the child welfare services improvement plan the agency is developing with a panel of national experts. Establish a worker certification program. Specific legislative language outlining those proposals and others will be introduced this week into DHS reform measures that are awaiting action in conference committees. The policy proposals were developed collectively by the bipartisan House DHS Working Group comprised of Reps. Jason Nelson, R-Oklahoma City, Pam Peterson, R-Tulsa, Pat Ownbey, R-Ardmore, and Wade Rousselot, D-Okay. “This legislation is about culture change from the top to the bottom,” said Nelson, the leader of the working group. Since October, the House DHS Working Group has engaged in an aggressive, four-pronged strategy to improve DHS through significant study of and reforms to the agency’s governance, structure, personnel policy and resource allocation. Steele formed the group in response to a shared desire between House members, agency officials and other stakeholders to improve delivery of services by DHS, particularly for children in state custody. The working group operated in an unconventional manner by holding nearly all of its meetings outside the Capitol, often times on the front lines with DHS workers across the state. So far, the group has met with more than 400 workers in 22 counties. The group will continue working in the future. The Lindsey Nicole Henry Scholarships for Student with Disabilities Program Act allows students with disabilities who have an individualized education program (IEP) to qualify for a scholarship to attend a private school that meets the accreditation requirements of the State Board of Education. OKLAHOMA CITY -- Governor Mary Fallin has partnered with the Oklahoma Department of Human Services (OKDHS) to encourage more Oklahomans to become foster and adoptive parents. Fallin issued a proclamation recognizing May as Foster Care Awareness Month in Oklahoma and she is serving as spokesperson for the statewide OKDHS public service announcement (PSA) campaign. Fallin appears in a PSA urging Oklahomans to get involved and "change a child's lifetime." More than 8,000 children and youth are currently in foster care and there is an urgent need for foster and adoptive families, especially for teenagers, sibling groups and children who have special medical or physical needs. For those who may not be able to foster children, there are other ways to get involved such as volunteering at a local children's shelter, hosting a toy drive, or becoming a trained volunteer to assist with home studies. The PSA will be broadcast on commercial television and radio stations across the state beginning in May at no cost to OKDHS. The stations donate free air time for all of the agency's public service announcements. To learn more about OKDHS foster care and adoption, or how to become a volunteer, visit the OKDHS Web site or the Oklahoma Bridge Resource Families Web site. You can also call 1-800-376-9729. OKLAHOMA CITY – Governor Mary Fallin last week approved rules submitted by the Oklahoma State Department of Education (SDE) establishing an A-F report card system to grade school performance. 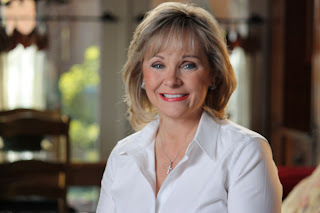 The rules were adopted by the State Board of Education in March, based on a law (HB 1456) enacted by the Legislature and signed by Governor Fallin in 2011. Fallin said the law, as well as the rules submitted by the SDE, are part of a comprehensive effort to improve performance and accountability measures at public schools. Superintendant of Public Instruction Janet Barresi agreed that the new reforms, outlined in detail in the rules approved by the governor, would increase transparency and accountability in education. For more information on the A-F grading system, click here.